There is very little remaining at Benderloch of the station, just an gate, covered in vegetation, and a small piece of platform. 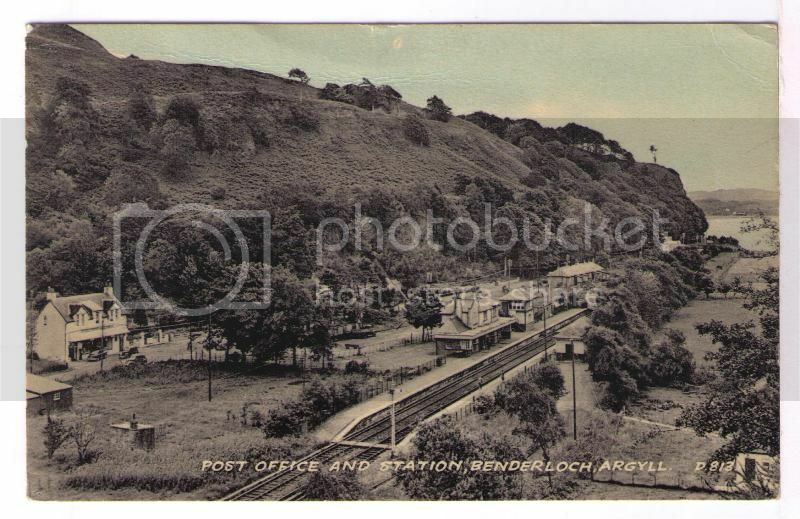 There are lots of images of the Station when it was in use, especially postcards. We have a few copies of some of these, and would love to have more. This station opened on 24 August 1903. It was laid out with two platforms, one on either side of a crossing loop. There were sidings on both sides of the line. 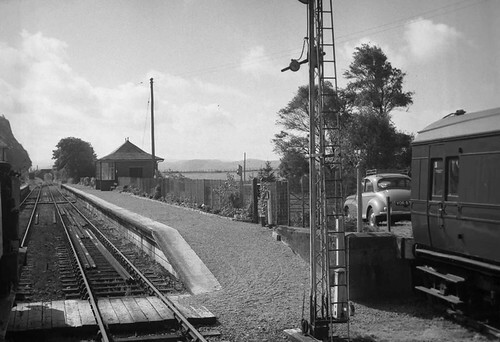 The station closed in 1966, when the Ballachulish Branch of the Callander and Oban Railway was closed. Throughout its existence, the Ballachulish Branch was worked by the electric token system. Benderloch signal box was located on the Up platform, on the east side of the railway. It had 24 levers. someone on facebook has suggested that the car might belong to Billy Broadfoot working at the station .. anyone else have any info on this ?